No interface required. Use with TI-84 calculator or TI-Nspire handheld. What Makes Vernier EasyTemp So Easy? Vernier EasyTemp has a mini-A USB connector that allows you to attach the temperature probe directly to the USB port of a TI-84 Plus graphing calculator or TI-Nspire handheld. Connecting the sensor to the calculator or handheld will automatically launch the data collection application, and you are ready to collect data. 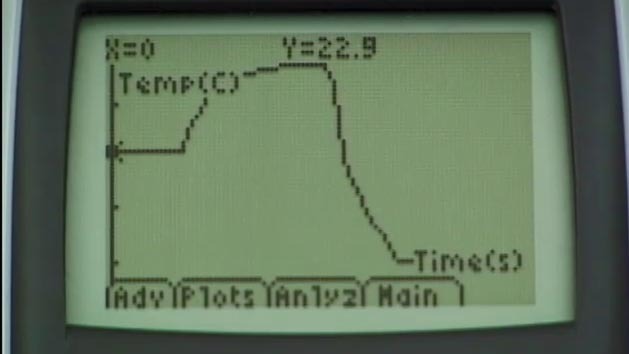 Learn how to use the Vernier EasyTemp temperature probe with a TI-84 Plus graphing calculator to collect data.